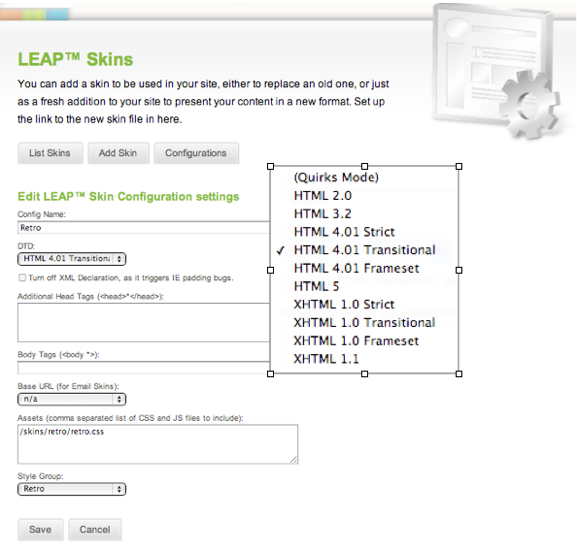 LEAP Skin Configurations lets you share custom settings and assets across skins by calling a specific configuration and it’s associated resources. An example of where Skin Configurations are useful is to manage a site that has both intranet and internet requirements. Configurations allow for specific setting customization without needing a whole new skin. the Style Group makes sure that this style will show correctly in the Group of your choice.